Paly '69 50th Reunion Reg. Welcome Paly High, Class of '69! First time visitor? Click on First Time Visitors on the tool bar directly above. Sign in with your own password and control who you share your data with. You may also select the frequency of notifications when new entries appear on the Site. o ...and other links coming up Our Admins are always cooking up changes and additions (and you can suggest some too; just let us know). Please also take a look through our Classmate Profiles and Missing Classmates lists to connect with other Class members. Please let us know if you have recent contact information for those who have not Registered on-site or who are missing from our rolls. Most importantly though -- let us hear from you! Greetings Vikings! Our 50th reunion is this August and your Reunion Committee is doing all we can to make it a memorable, meaningful and inclusive event. Kick-off the reunion weekend with a nice glass of wine, a cold brew and some tasty appetizers. It’s the perfect time and place to rendezvous before dinner, to finally reveal your secret high school crush and to enjoy a surprise reunion with a long lost classmate. Wardrobe note: Anything goes. It's not quite the same old place, but it's still very special. Enjoy a walking tour with a current faculty member. Find your old locker. Gaze in amazement at the mix of old and new. The no-host poolside reception begins at 5pm. Buffet dinner will be served at 6:30pm. Presentations will be kept to a minimum, permitting maximum “schmoozing” time. Wardrobe note: Anything from black tie to jeans is fine, but please keep the spandex to a minimum. We’ve reserved the large group picnic area at Mitchell Park for the festivities. Everything will be provided – food, beverages and all the fixings. It’s a great opportunity to get a peek at your “bestie’s” kids – and grandkids! There will be a $5 per person charge for your additional guests who do not attend the dinner. Wardrobe note: Baggies, sandals and Hawaiian shirts are de rigueur. We are making a special effort to reach out to every classmate we can find and make sure they are enthusiastically invited. For some classmates, the cost to attend is a stretch. To offset some of their expenses, we are asking those who can afford it to make an additional donation for those who could use a bit of help. You’ll find an easy donation form on the egistration page. 100% of every contribution will go to assisting another classmate’s attendance. The Reunion Committee will use its best judgment to determine distribution of the funds. Requests for assistance and any distributions will be kept strictly confidential. We encourage those who could use some help to let us know. You may apply for assistance by e-mailing Chris Sorensen at Chrisswww@aol.com or writing her at 39 Highgate Road, Kensington, CA 94707. We’ve heard your suggestions and requests for additional activities before, during and after the Reunion weekend. Elementary school reunions, wine country excursions and additional receptions all sound like good ideas to us. Although the Reunion Committee doesn’t have the capacity to manage these activities, we heartily encourage them. You can count on us to do what we can to coordinate with any prospective organizers and help them promote those functions on the class website or with our mail lists. The Palo Alto Sheraton and Westin are again the official hotels of our reunion. We have arranged for a block of rooms with great rates. We hope you will take advantage of them. The Sheraton rate is $139 and the Westin is $179. To book the Sheraton call 1-800-325-3535. For the Westin call 1-800-937-8461. Those calling in reservations must mention Paly Class of 1969 Reunion Room block in order to receive the group rate. While the cut-off date for discounted reservations is July 9, if other business demand for this time period is great, the hotels are free to tap into our room block so rooms may become unavailable well prior to July 9th. Best advice therefore is to decide and make reservations early. The Paly rates are for Friday and Saturday only. It may be possible to extend to Sunday at the Paly rate. Monday through Thursday would be at the hotels' regular rates. Anyone wanting to extend for the Sunday night at the above rates, or to book rooms prior to or following the reunion weekend needs to contact Cheyenne Hulsey at chulsey@pahotel.com; 650.328.2800 . For those individuals, it is best to have her set up all of the reservations. 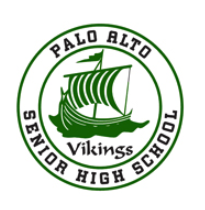 If you are not already signed up for our Paly'69 website, you will first need to take that step, then proceed to the 50th Reunion Registration. If you are already on the Site, you can access the 50th Reunion Registration at the top of the left side links on any page. Please note that all financial transactions are securely encrypted. Your single payment of $133 per person covers all of the four core events. If you bring additional guests to the Picnic it requires a $5 per person fee. Payment for core events and additional picnic guests must be received by May 31, 2019. Starting June 1, 2019, the core event fee will go up to $150 per person. The closing date for all registrations will be August 2, 2019. We strongly discourage walk-ups at the door for the August 10 dinner, but we will accept $175 per person if necessary. We would love your participation. Simply e-mail Chris Sully at chrissully@sbcglobal.net. Thank you in advance for helping. All the 50th Reunion Committee members are at your service. Feel free to write any of us at the e-mails listed below. If we don’t know the answer, we’ll find out for you. This is going to be a very special reunion for a very special class from a very special school. Our lives were all shaped and influenced by our years together at Paly. Please make every effort to attend our 50th Reunion. There are many, many people who want to see you there.